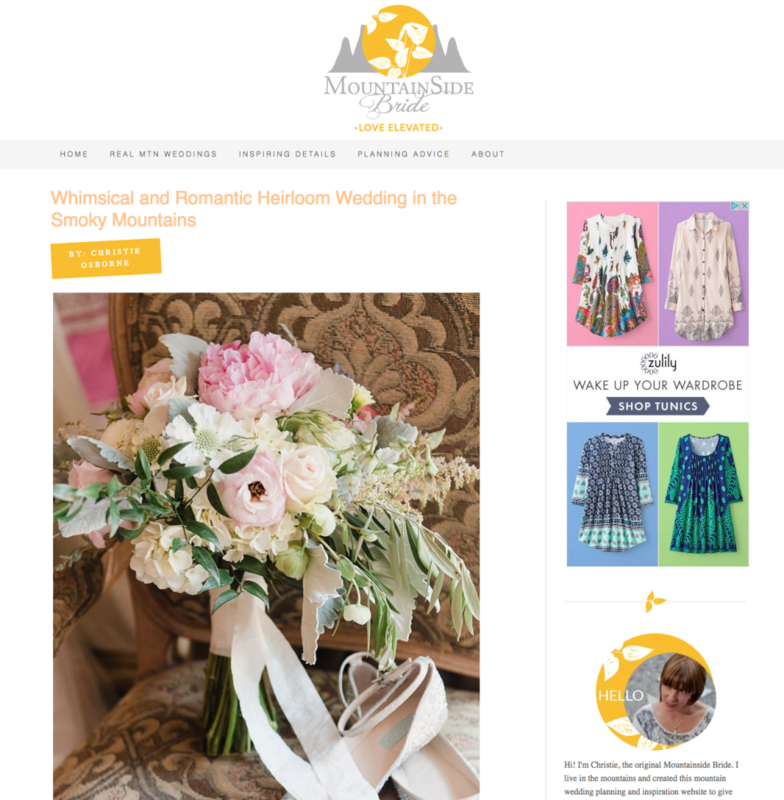 Wedding PR: Mountainside Bride, Reader's Digest, BRIDES, and more! Wedding PR: Mountainside Bride, Reader’s Digest, BRIDES, and more! Sunshower Photography was featured on Mountainside Bride with their real wedding, Elegant Heirloom Wedding in the Smoky Mountains. See the full feature here. The International Academy of Wedding & Event Planning was featured on Brides.com in the roundup, Wedding Planners Reveal Their Wildest Wedding Moments. See the full feature here. Fantasy Sound Event Services was featured on Reader’s Digest in the roundup, 12 Songs That Are Guaranteed to Get Everyone Dancing at Your Wedding. See the full feature here. The International Academy of Wedding and Event Planning was featured on the Bridechilla podcast in the episode, How to Find the Right Wedding Planner. See the full feature here. Kaysha Weiner Photographer was featured on Rustic Weddings with her real wedding, Erin and Mike’s Rustic California Wedding. See the full feature here. Jenny DeMarco Photography was featured on Love Inc. with her real wedding, Jeff and Joel’s Trendy Texas Wedding with Geometric Details. See the full feature here. The International Academy of Wedding and Event Planning was featured on Sage Wedding Pros with their guest article, Is It Time to Diversify Your Business? See the full feature here. Belladeux Event Design was featured on Special Events in their guest article, When and How to Bring in Help. See the full feature here. Jenny DeMarco Photography was featured on Brides.com in the roundup, 42 Wonderfully Artistic Wedding Ideas You’ll Want to Copy ASAP. See the full feature here. Mike B Photography, Kaysha Weiner Photographer, and Jenny DeMarco Photography were featured on Brides.com in the roundup, Creative Calligraphy Signs You Haven’t Seen All Over Pinterest. See the full feature here.